Entirely new from the ground up, the ES 350 features a longer, wider stance and a sleek, coupe-like silhouette inherited from the flagship LS. With first-of-its-kind technology* and a more powerful engine, this is the most advanced ES ever. LEXUS MULTIMEDIA SYSTEM* WITH 8.0-INCH COLOR DISPLAY AND COMPATIBLE SCOUT® GPS LINK,* WITH MAPSTREAM AND TURNSTREAM MODES. COMPLIMENTARY FOR THE FIRST THREE YEARS OF OWNERSHIP. LEXUS ENFORM REMOTE APP* AND AMAZON ALEXA* COMPATIBILITY. COMPLIMENTARY FOR THE FIRST YEAR OF OWNERSHIP. LEXUS ENFORM WI-FI™. COMPLIMENTARY 4GB/ONE-YEAR TRIAL* IS INCLUDED. 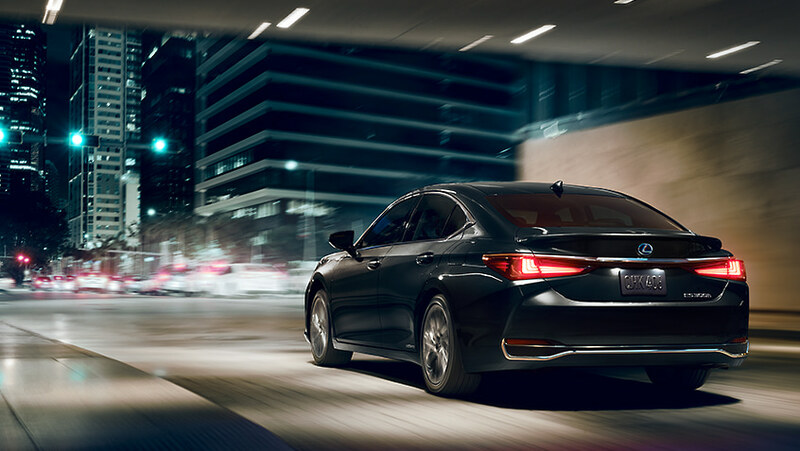 LEXUS ENFORM SAFETY CONNECT* AND SERVICE CONNECT* COMPLIMENTARY FOR THE FIRST 10 YEARS OF OWNERSHIP. Includes ES 350 features, plus perforated leather interior trim, 14-way power-adjustable driver’s seat, wood trim with ambient lighting and more. Includes ES 350 Luxury features, plus perforated semi-aniline leather interior trim, power open/close trunk* with kick sensor, lateral performance dampers and more. Pairing world-class luxury with two lightning-fast electric motors, a potent 2.5-liter engine and 44-MPG combined estimate,* it’s not only the most powerful ES Hybrid ever, it’s the most fuel-efficient non-plug-in luxury vehicle,* period. Includes ES 300h features, plus perforated leather interior trim, 14-way power-adjustable driver’s seat, wood trim with ambient lighting and more. 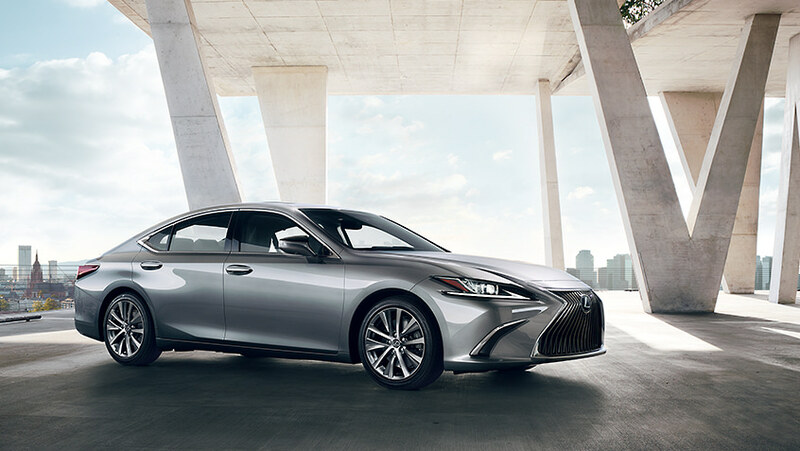 Includes ES 300h features, plus perforated semi-aniline leather interior trim, power open/close trunk* with kick sensor, lateral performance dampers and more. Performance and styling upgrades including suspension tuning, bolstered sport seats, exclusive 19-inch wheels* and more. Lexus Memory System for driver's seat, outside mirrors and steering wheel, power tilt-and telescopic steering wheel, rain-sensing wipers and heated and ventilated front seats. Navigation System* with 12.3-inch color multimedia display, Lexus Enform features and more. Includes Navigation Package with Mark Levinson® 17-speaker, 1,800-watt PurePlay Premium Surround Sound Audio System,* 12.3-in color multimedia display and more.